Seasonal Menu Items - Fresh, Local Breakfast, Brunch and Lunch. Brookwood Benedict. Wheat English muffin, Canadian bacon, avocado, tomato and scrambled cage free egg whites, topped with green salsa and Mozzarella cheese. Chicken Salad Italiano. 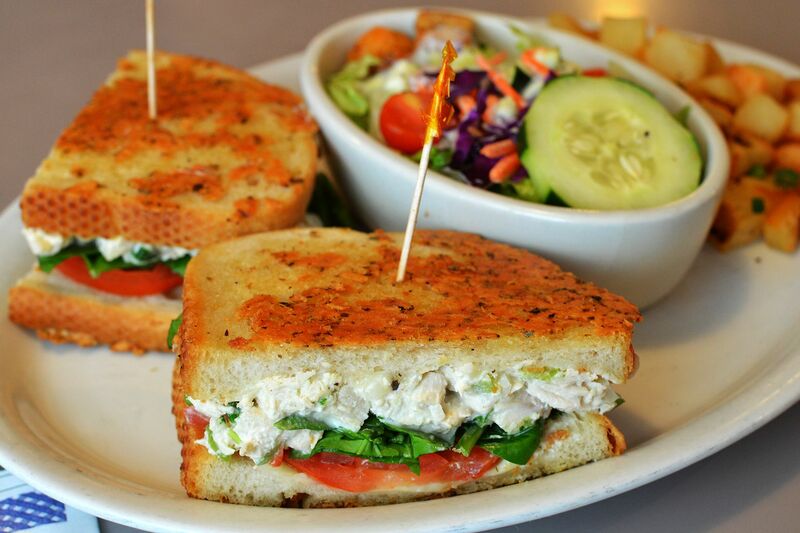 Chicken salad, tomato, spinach and Mozzarella cheese on Parmesan and oregano encrusted sourdough. 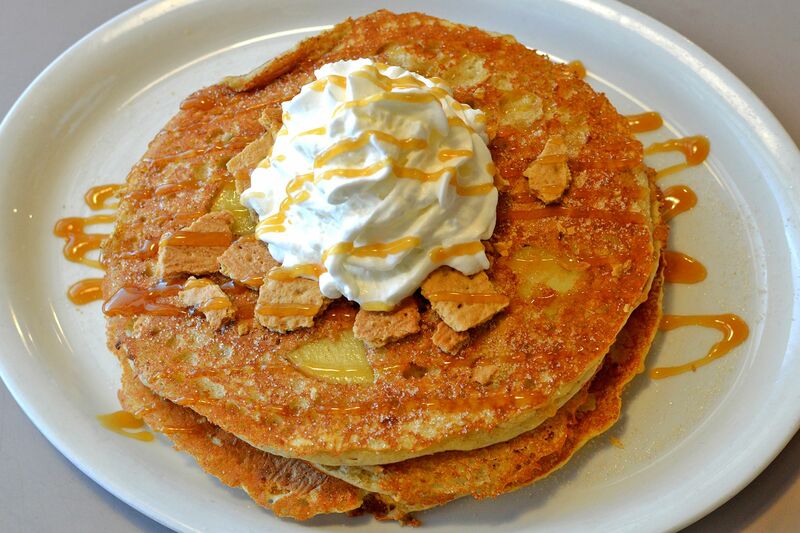 Cinnamon Apple Pancakes. Filled with roasted apples and graham crackers, topped with cinnamon sugar, whipped cream and caramel sauce. Grammy's Apple Oatmeal. Roasted apples, pecans and cranberries. Served with brown sugar, skim milk and a wheat English muffin. Habanero Hash and Eggs. 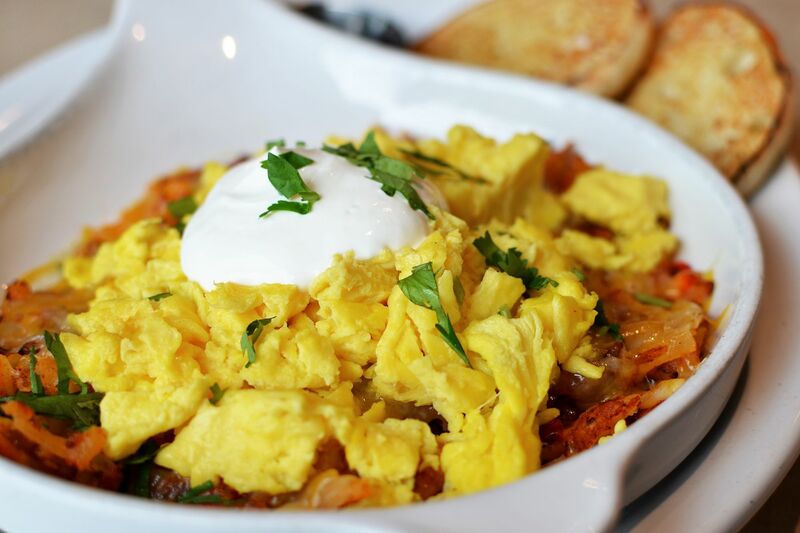 House-made habanero hash prepared with chorizo, topped with Jack and Cheddar cheese, two free range eggs, any style, sour cream and cilantro. Served with an English muffin. 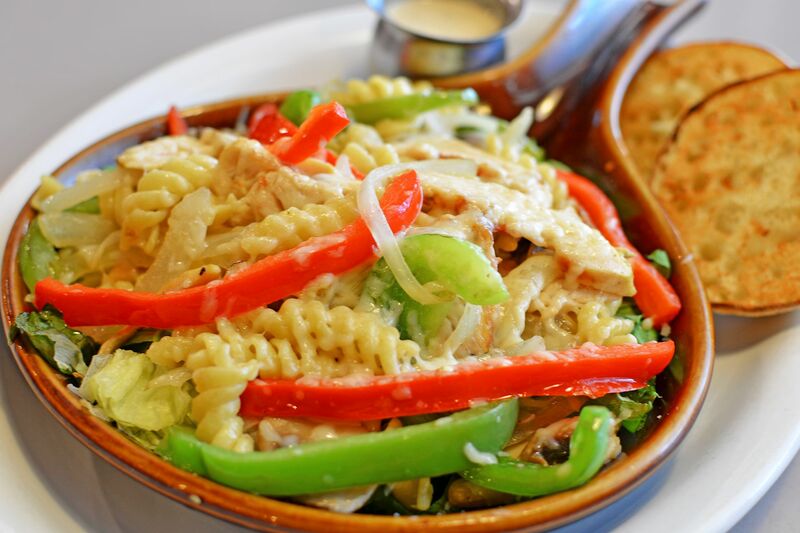 Hot Chicken Pasta Salad. Grilled chicken, red and green peppers, broccoli, mushrooms, onions, rotini pasta and Parmesan on a bed of lettuce and spinach. Served with Caesar dressing and an English muffin. 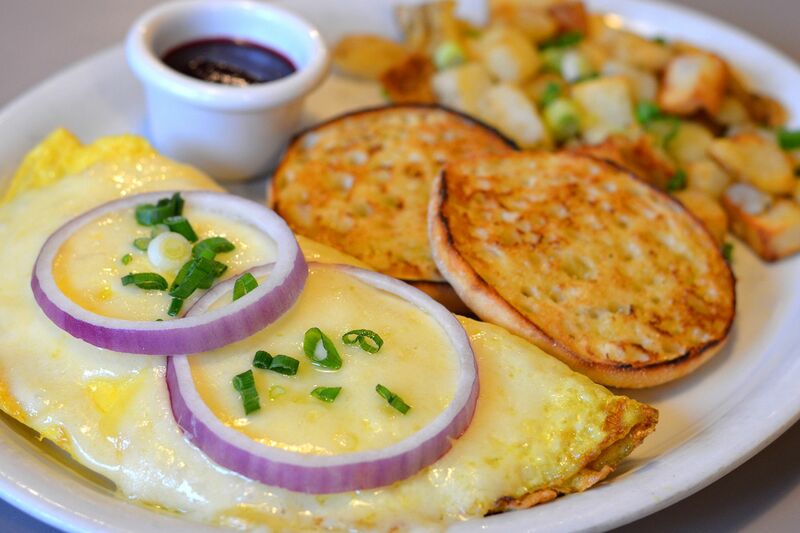 Lady O'Leary's Omelette. 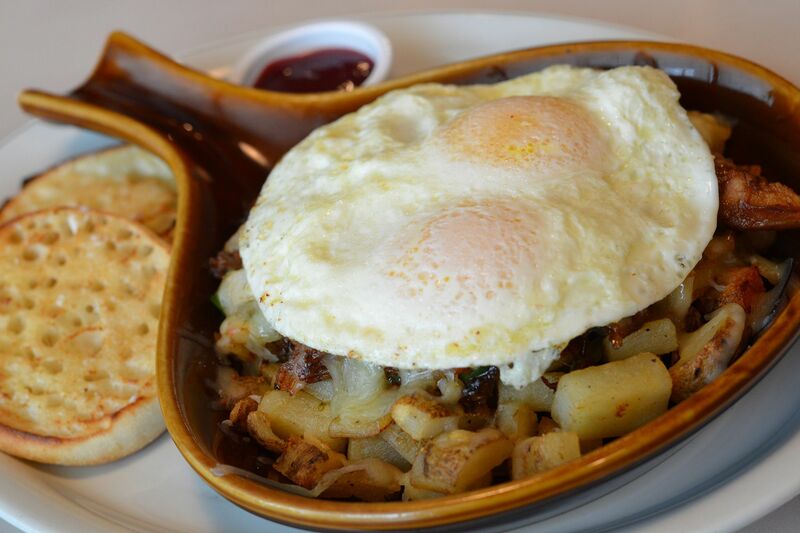 Three free range eggs filled with house-made corned beef hash, topped with Swiss cheese and red onion. 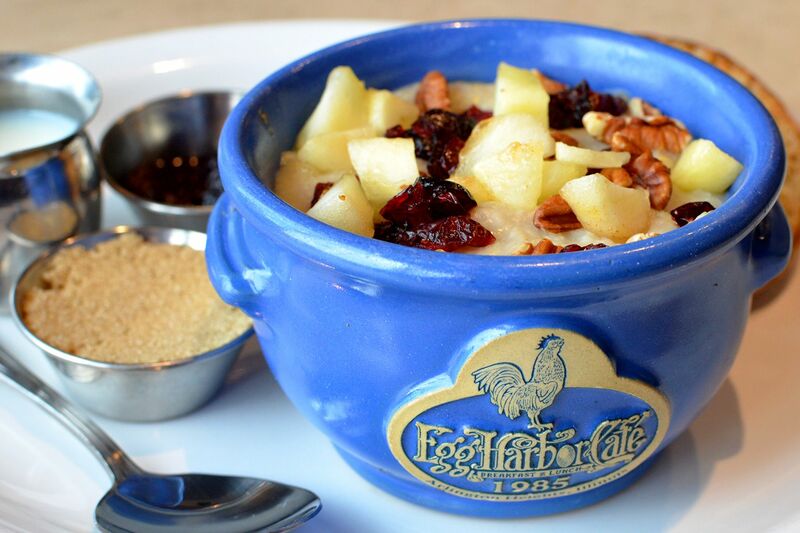 Served with Harbor potatoes, an English muffin and house-made jam. Roswell Scrambler. 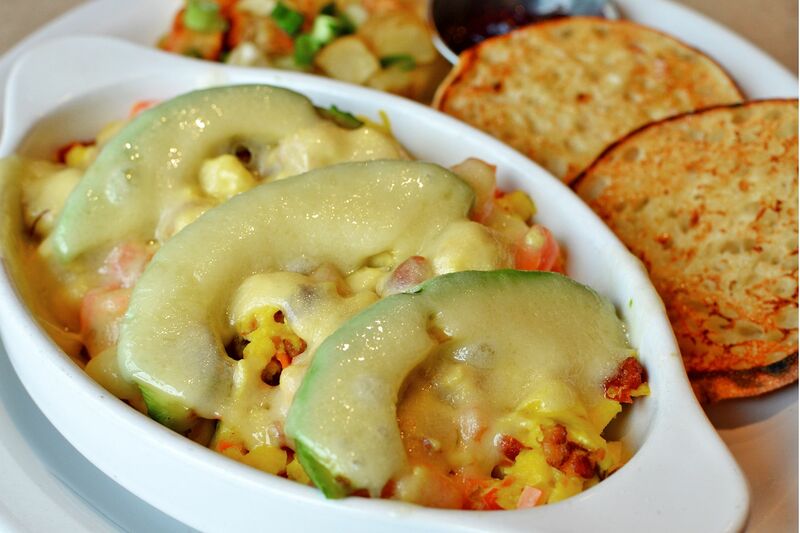 Three scrambled free range eggs mixed with bacon, avocado and tomato and topped with Swiss cheese. Served with Harbor potatoes, an English muffin, and house-made jam. Smoked Salmon Benedict. English muffin, cold smoked salmon, tomato and poached free range eggs, topped with hollandaise, red onions, capers and dill. 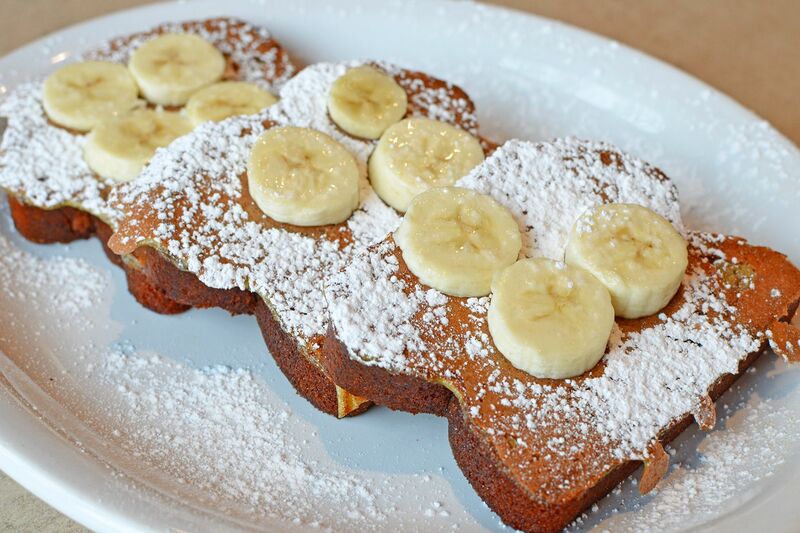 Winter in Italy French Toast. Thick-cut Texas French toast cinnamon Mascarpone, roasted apples, raisins, walnuts, powdered sugar and caramel sauce. Southern Shrimp and Grits. Shrimp, bacon, green onion, Jack and Cheddar cheese and cilantro on a bed of creamy grits. Served with a biscuit and honey butter. Cuban Sandwich. Ham, pulled pork, Swiss cheese, pickles, mojo sauce and yellow mustard on a bakery roll. Tuscan Grill. Roasted red peppers, zucchini, artichoke hearts, spinach, tomato and Mozzarella on Parmesan and oregano encrusted sourdough. 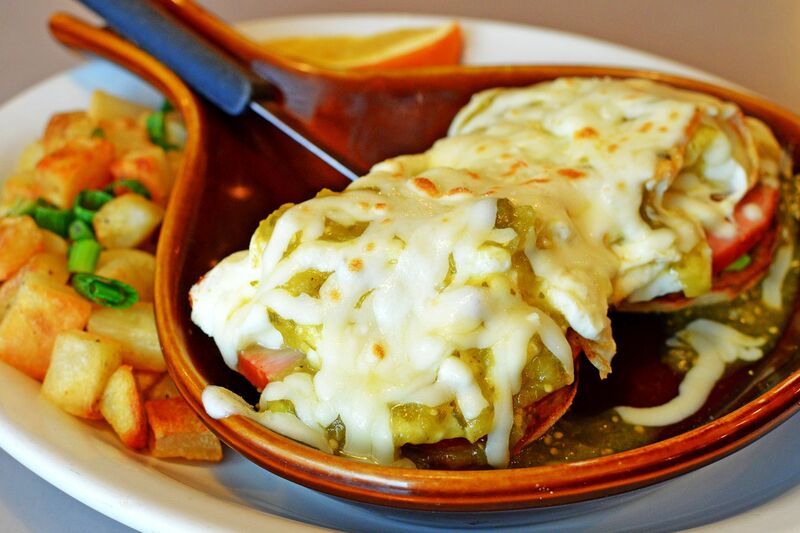 Browse the Entire Winter Menu Here.